In addition to hosting more than 100 million breeding monarch butterflies, milkweeds support a dizzying array of insect life, from day-glo aphids and lime-green mantids to milkweed beetles, jumping spiders, and dozens of dragonfly species. Yet milkweeds are among the most toxic plants growing in our area. Steve Jones will address the questions of how did these plants evolve to ward off excessive consumption and at the same time become a keystone species for maintaining populations of prairie insects? What does the future hold for monarchs in our area and throughout North America? 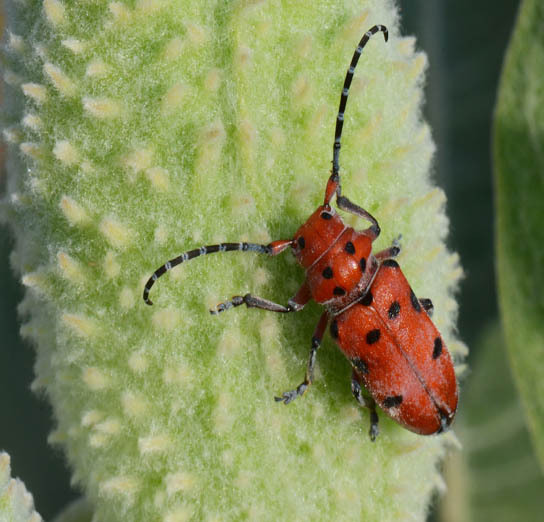 Close-up images highlight the beauty and uniqueness of milkweed-insect relationships. In addition to authoring the books, The Last Prairie, A Sandhills Journal, and Owls of Boulder County, Steve Jones has taught nature classes to children and adults for 38 years and taught in the Boulder Valley Public Schools for 33 years. He currently trains and supervises more than 200 volunteers working on wildlife monitoring projects in Boulder County. Join us on October 11th, 2018, to learn more. This program is free and the public is welcomed.